This combined with its industry leading thermal performance ensures you can use your conservatory/orangery 365 days a year. Whether you’re inside looking up, or outside looking enviously in, these roof puts any property in a class of its own. 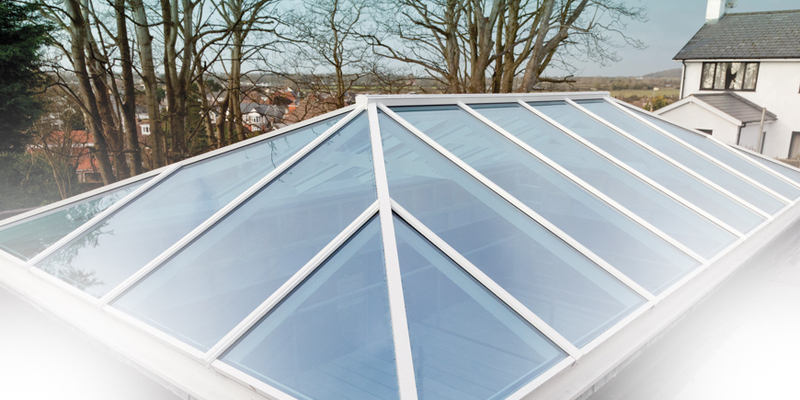 This unique design creates a feeling of MORE SKY – LESS ROOF giving you visible elegance to your roof design and appearance, whether you choose an all Aluminium structure or want PVCu capping. 25% MORE SKY 25% LESS ROOF Turn a roof into a contemporary architectural feature. The strength-to-weight ratio of the aluminium profile offers dramatic roof spans without tie bars. Visible Elegance - No boss and hood - Slim sightlines internally - Low sightlines externally..
MORE SKY 25% LESS ROOF Turn a roof into a contemporary architectural feature. The strength-to-weight ratio of the aluminium profile offers dramatic roof spans without tie bars. Visible Elegance No boss and hood Slim sightlines internally Low sightlines externally U Value..
25% MORE SKY 25% LESS ROOF Turn a roof into a contemporary architectural feature. The strength-to-weight ratio of the aluminium profile offers dramatic roof spans without tie bars. Visible Elegance No boss and hood Slim sightlines internally Low sightlines externally U V..